Popular Vehicle Alert! This 2011 Dodge Grand Caravanvehicle has been viewed by 13 shoppers per week. You can buy your vehicle with confidence from Geneva Foreign & Sports. -Geneva Foreign & Sports is centrally located directly between Rochester and Syracuse in the heart of the Finger Lakes for the convenience of our customers. Service after the sale is top priority for Geneva Foreign & Sports; ensuring satisfaction not only during the purchase process but the whole time you own your vehicle. This Dodge Grand Caravan is beautiful and the interior is clean with virtually no flaws. Treat yourself to a wonderful driving experience in this wel- optioned Dodge Grand Caravan Mainstreet. Equipped with the latest in driver comforts, this Dodge is the benchmark of modern automotive engineering. There is no reason why you shouldn't buy this Dodge Grand Caravan Mainstreet. It is incomparable for the price and quality. More information about the 2011 Dodge Grand Caravan: The Grand Caravan was one of the first minivans to make it big in North America, and it's still one of the best. The base Grand Caravan starts under $25,000 and that brings a 6-speed automatic, heated power mirrors, keyless entry, 3-zone air conditioning and standard stability control, tire pressure monitoring and a host of air bags. EPA-estimated mileage on the highway is a strong 24 mpg. Interesting features of this model are comfortable ride, Versatile interior, and tons of storage space -Geneva Foreign & Sports has a different model than most. We’ve decided to sell more cars and make less money. I know, that sounds weird but it really makes sense. Big Dan thinks that once you’ve earned a customer’s business, you’ve earned their loyalty for life. He says as long as you’re fair with people and treat then honestly, they’ll never have a reason to go somewhere else. And this means you’ll earn their mechanical repair work, collision work, they’ll refer friends to you, and they’ll come back to buy their next car from you… Sure beats spending loads of money on advertising. There is a reason we’re the largest European sales and service shop in the Geneva / Rochester / Syracuse region. Trust The Pros at GFS! -We employ factory trained technicians and use factory diagnostic and repair equipment. We are one of only a few in the Upstate NY area that offer these types of services other than the Dealership. Our technicians not only service every vehicle we sell but service customer cars day in and out. The experience that they have is priceless when it comes to reconditioning your new vehicle! -Every car comes with a 151 point inspection. We put the vehicle in the air and check it over from bumper to bumper ensuring we’re selling only the best quality vehicles. Any concerns and we’re sending it directly to the auction! -We rust-proof every vehicle to protect them from the elements of Upstate NY! We’re Protecting Your Hard Earned Money! -When servicing the vehicles, we expect all of the large wear items such as brakes and tires to have at least 50% of life left. If they are less than that, we replace them. The reason we do this is because we want you to purchase a vehicle that does not require immediate service. With 50% wear left, you should have at least a year driving before any service is needed… - Most dealerships “set their car up” to pass inspection. That may be good enough for NYS, but it’s not good enough for us. We want our customers to have an enjoyable interaction with their car and see the value in the purchase. You can’t do this if you’re running into costly maintenance bills right away. We completely understand why other dealerships may choose to only do the minimum, it’s expensive! Geneva Foreign & Sports is fortunate enough to have a large hi-tech service department with factory trained and certified technicians. Having our own service department allows us to these repairs at a very reasonable price. More Bank for Your Buck! -Because of our extensive reconditioning process, every one of our vehicles is eligible for an extended warranty with unlimited mileage coverage. Most terms go as long as 4 years! You can read more about our extended service contracts by clicking on the link: http://www.gfs1.com/warranty/ This Used 2011 Dodge Grand Caravan stk#749007 is available at Geneva Foreign & Sports in Geneva, NY. This Grand Caravan comes with styling and Black/Light Graystone Interior interior. Popular Vehicle Alert! This 2005 Ford Mustangvehicle has been viewed by 167 shoppers in last 21 days. You can buy your vehicle with confidence from Geneva Foreign & Sports. -Geneva Foreign & Sports is centrally located directly between Rochester and Syracuse in the heart of the Finger Lakes for the convenience of our customers. Service after the sale is top priority for Geneva Foreign & Sports; ensuring satisfaction not only during the purchase process but the whole time you own your vehicle. Only the CARFAX Buyback Guarantee can offer you the comfort of knowing you made the right purchase. Soak up the sun and have some fun in this outstanding Ford Mustang convertible. This gently driven vehicle has been well-kept and still has the showroom shine. This 2005 Ford Mustang Deluxe is not like every other automobile. The Ford was equipped with many of the added features that make this vehicle such a unique automobile to own and drive. Added comfort with contemporary style is the leather interior to heighten the quality and craftsmanship for the Ford Mustang Stand out from the crowd as a 2005 Ford Mustang Deluxe is a rare find and just may attract paparazzi. -Geneva Foreign & Sports has a different model than most. We’ve decided to sell more cars and make less money. I know, that sounds weird but it really makes sense. Big Dan thinks that once you’ve earned a customer’s business, you’ve earned their loyalty for life. He says as long as you’re fair with people and treat then honestly, they’ll never have a reason to go somewhere else. And this means you’ll earn their mechanical repair work, collision work, they’ll refer friends to you, and they’ll come back to buy their next car from you… Sure beats spending loads of money on advertising. There is a reason we’re the largest European sales and service shop in the Geneva / Rochester / Syracuse region. Trust The Pros at GFS! -We employ factory trained technicians and use factory diagnostic and repair equipment. We are one of only a few in the Upstate NY area that offer these types of services other than the Dealership. Our technicians not only service every vehicle we sell but service customer cars day in and out. The experience that they have is priceless when it comes to reconditioning your new vehicle! -Every car comes with a 151 point inspection. We put the vehicle in the air and check it over from bumper to bumper ensuring we’re selling only the best quality vehicles. Any concerns and we’re sending it directly to the auction! -We rust-proof every vehicle to protect them from the elements of Upstate NY! We’re Protecting Your Hard Earned Money! -When servicing the vehicles, we expect all of the large wear items such as brakes and tires to have at least 50% of life left. If they are less than that, we replace them. The reason we do this is because we want you to purchase a vehicle that does not require immediate service. With 50% wear left, you should have at least a year driving before any service is needed… - Most dealerships “set their car up” to pass inspection. That may be good enough for NYS, but it’s not good enough for us. We want our customers to have an enjoyable interaction with their car and see the value in the purchase. You can’t do this if you’re running into costly maintenance bills right away. We completely understand why other dealerships may choose to only do the minimum, it’s expensive! Geneva Foreign & Sports is fortunate enough to have a large hi-tech service department with factory trained and certified technicians. Having our own service department allows us to these repairs at a very reasonable price. More Bank for Your Buck! -Because of our extensive reconditioning process, every one of our vehicles is eligible for an extended warranty with unlimited mileage coverage. Most terms go as long as 4 years! You can read more about our extended service contracts by clicking on the link: http://www.gfs1.com/warranty/ Come check out this Used 2005 Ford Mustang. This Ford Mustang features a 2005 bodystyle in and Rear Wheel Drive capabilities. Stop by Geneva Foreign & Sports in Geneva, NY to see this Ford Mustang today. Popular Vehicle Alert! This 2012 Ford Focusvehicle has been viewed by 173 shoppers. You can buy your vehicle with confidence from Geneva Foreign & Sports. -Geneva Foreign & Sports is centrally located directly between Rochester and Syracuse in the heart of the Finger Lakes for the convenience of our customers. Service after the sale is top priority for Geneva Foreign & Sports; ensuring satisfaction not only during the purchase process but the whole time you own your vehicle. This vehicle is loaded with great features, plus it comes with the CARFAX BuyBack Guarantee. This 2012 Ford Focus has great acceleration and wonderful styling without sacrificing exceptional fuel economy. The incredibly low mileage and painstaking upkeep on this Ford Focus makes it a once-in-a-lifetime deal that won't last long! Call us today to reserve your test drive! This gently driven vehicle has been well-kept and still has the showroom shine. There are options that you need, And there are options that you want. This Ford Focus has them all. More information about the 2012 Ford Focus: The new Ford Focus is a small car that offers a number of features otherwise seen in larger or more luxurious vehicles. For instance, the Focus is also the first vehicle in its class to offer Active Park Assist, which can actually guide and steer the car into a parking space if the driver moderates speed with the brake. It's also the first small car to offer Ford's new MyFord Touch system, which relies on a sophisticated touch-screen system and has advanced voice-command features and can even provide wifi for the car and the area surrounding. Technology aside, the new Focus stands out from the class for its excellent handling and poise, sporty driving feel, and impressive fuel economy. Interesting features of this model are sleek, charismatic new style, fuel-efficient powertrains, handling and poise, choice of hatchback or sedan, and World-first small-car technology like Active Park Assist and MyFord Touch -Geneva Foreign & Sports has a different model than most. We’ve decided to sell more cars and make less money. I know, that sounds weird but it really makes sense. Big Dan thinks that once you’ve earned a customer’s business, you’ve earned their loyalty for life. He says as long as you’re fair with people and treat then honestly, they’ll never have a reason to go somewhere else. And this means you’ll earn their mechanical repair work, collision work, they’ll refer friends to you, and they’ll come back to buy their next car from you… Sure beats spending loads of money on advertising. There is a reason we’re the largest European sales and service shop in the Geneva / Rochester / Syracuse region. Trust The Pros at GFS! -We employ factory trained technicians and use factory diagnostic and repair equipment. We are one of only a few in the Upstate NY area that offer these types of services other than the Dealership. Our technicians not only service every vehicle we sell but service customer cars day in and out. The experience that they have is priceless when it comes to reconditioning your new vehicle! -Every car comes with a 151 point inspection. We put the vehicle in the air and check it over from bumper to bumper ensuring we’re selling only the best quality vehicles. Any concerns and we’re sending it directly to the auction! -We rust-proof every vehicle to protect them from the elements of Upstate NY! We’re Protecting Your Hard Earned Money! -When servicing the vehicles, we expect all of the large wear items such as brakes and tires to have at least 50% of life left. If they are less than that, we replace them. The reason we do this is because we want you to purchase a vehicle that does not require immediate service. With 50% wear left, you should have at least a year driving before any service is needed… - Most dealerships “set their car up” to pass inspection. That may be good enough for NYS, but it’s not good enough for us. We want our customers to have an enjoyable interaction with their car and see the value in the purchase. You can’t do this if you’re running into costly maintenance bills right away. We completely understand why other dealerships may choose to only do the minimum, it’s expensive! Geneva Foreign & Sports is fortunate enough to have a large hi-tech service department with factory trained and certified technicians. Having our own service department allows us to these repairs at a very reasonable price. More Bank for Your Buck! -Because of our extensive reconditioning process, every one of our vehicles is eligible for an extended warranty with unlimited mileage coverage. Most terms go as long as 4 years! You can read more about our extended service contracts by clicking on the link: http://www.gfs1.com/warranty/ This Used 2012 Ford Focus at Geneva Foreign & Sports in Geneva, NY features SE styling and Front Wheel Drive. Stop by Geneva Foreign & Sports in Geneva, NY and see this Ford Focus today. You can buy your vehicle with confidence from Geneva Foreign & Sports. -Geneva Foreign & Sports is centrally located directly between Rochester and Syracuse in the heart of the Finger Lakes for the convenience of our customers. Service after the sale is top priority for Geneva Foreign & Sports; ensuring satisfaction not only during the purchase process but the whole time you own your vehicle. The Hyundai Sonata Ltd speaks volumes about it's driver, uncompromising individuality, passion for driving, and standards far above the ordinary. It's exceptional fuel-efficiency is a clear sign that not all vehicles are created with the same standards. The Sonata Ltd is well maintained and has just 89,778mi. This low amount of miles makes this vehicle incomparable to the competition. Added comfort with contemporary style is the leather interior to heighten the quality and craftsmanship for the Hyundai Sonata The interior of this Hyundai Sonata Ltd has been through meticulous inspection and could almost pass for a brand new vehicle. This wonderfully appointed vehicle comes equipped with the options and features every driver craves. The paint on this Hyundai Sonata Ltd is flawless; no scratches, no blemishes, no need to spend extra money on touch ups. Hyundai has put longtime mid-size best-sellers, including the Honda Accord and Toyota Camry, directly into its sites with the all-new Sonata. Hyundai meets or exceeds those models in most respects. With new EPA fuel economy ratings of up to 24 mpg city, 35 highway, thanks to a new direct-injection 4-cylinder engine, the Sonata has fuel-efficiency and power performance numbers that are both better than most base-model mid-size sedans. The 2011 Sonata is now classified by the EPA as a large car, and has more passenger room than most of its competitors, while it has significantly more trunk space than the Toyota Camry, Nissan Altima, Ford Fusion and Chevrolet Malibu. The Sonata is also lighter than almost all of its rivals and has a short 35.8-foot turning diameter that's also shorter than most other mid-size sedans. The Sonata also has a trump card in safety, as it's already been named a Top Safety Pick by the IIHS. -Geneva Foreign & Sports has a different model than most. We’ve decided to sell more cars and make less money. I know, that sounds weird but it really makes sense. Big Dan thinks that once you’ve earned a customer’s business, you’ve earned their loyalty for life. He says as long as you’re fair with people and treat then honestly, they’ll never have a reason to go somewhere else. And this means you’ll earn their mechanical repair work, collision work, they’ll refer friends to you, and they’ll come back to buy their next car from you… Sure beats spending loads of money on advertising. There is a reason we’re the largest European sales and service shop in the Geneva / Rochester / Syracuse region. Trust The Pros at GFS! -We employ factory trained technicians and use factory diagnostic and repair equipment. We are one of only a few in the Upstate NY area that offer these types of services other than the Dealership. Our technicians not only service every vehicle we sell but service customer cars day in and out. The experience that they have is priceless when it comes to reconditioning your new vehicle! -Every car comes with a 151 point inspection. We put the vehicle in the air and check it over from bumper to bumper ensuring we’re selling only the best quality vehicles. Any concerns and we’re sending it directly to the auction! -We rust-proof every vehicle to protect them from the elements of Upstate NY! We’re Protecting Your Hard Earned Money! -When servicing the vehicles, we expect all of the large wear items such as brakes and tires to have at least 50% of life left. If they are less than that, we replace them. The reason we do this is because we want you to purchase a vehicle that does not require immediate service. With 50% wear left, you should have at least a year driving before any service is needed… - Most dealerships “set their car up” to pass inspection. That may be good enough for NYS, but it’s not good enough for us. We want our customers to have an enjoyable interaction with their car and see the value in the purchase. You can’t do this if you’re running into costly maintenance bills right away. We completely understand why other dealerships may choose to only do the minimum, it’s expensive! Geneva Foreign & Sports is fortunate enough to have a large hi-tech service department with factory trained and certified technicians. Having our own service department allows us to these repairs at a very reasonable price. More Bank for Your Buck! -Because of our extensive reconditioning process, every one of our vehicles is eligible for an extended warranty with unlimited mileage coverage. Most terms go as long as 4 years! You can read more about our extended service contracts by clicking on the link: http://www.gfs1.com/warranty/ Come to Geneva Foreign & Sports in Geneva, NY and check out this Used 2011 Hyundai Sonata. This Sonata features a 2.4L DOHC 16-Valve I4 GDI Engine and Front Wheel Drive capabilities with SE trim options. Popular Vehicle Alert! This 2009 Hyundai Santa Fevehicle has been viewed by 49 shoppers per week. You can buy your vehicle with confidence from Geneva Foreign & Sports. -Geneva Foreign & Sports is centrally located directly between Rochester and Syracuse in the heart of the Finger Lakes for the convenience of our customers. Service after the sale is top priority for Geneva Foreign & Sports; ensuring satisfaction not only during the purchase process but the whole time you own your vehicle. In their original incarnation, SUVs were chiefly owned by folks who valued utility above sport. Not anymore! The Hyundai Santa Fe GLS redefines the SUV and makes the perfect all around family companion. This Hyundai Santa Fe features AWD. That means power and control delivered to all four wheels for maximum grip and improved handling. This vehicle has extremely low mileage on the odometer, so while it's pre-owned, it's practically new. Pre-owned doesn't have to mean used. The clean interior of this Hyundai Santa Fe makes it one of the nicest you'll find. You demand the best in everything, so why would your automobile be any different? Enjoy the best features available in this stunning Hyundai Santa Fe. The 2009 Hyundai Santa Fe compares very favorably against the Honda CR-V and Toyota Highlander, offering a choice of V6 engines at a price point where the competition only offer 4-cylinder motors. There is plenty of safety equipment, the driving dynamics are first rate, and the interior is both nicely finished and quiet. Hyundai's warranty is one of the best in the business. -Geneva Foreign & Sports has a different model than most. We’ve decided to sell more cars and make less money. I know, that sounds weird but it really makes sense. Big Dan thinks that once you’ve earned a customer’s business, you’ve earned their loyalty for life. He says as long as you’re fair with people and treat then honestly, they’ll never have a reason to go somewhere else. And this means you’ll earn their mechanical repair work, collision work, they’ll refer friends to you, and they’ll come back to buy their next car from you… Sure beats spending loads of money on advertising. There is a reason we’re the largest European sales and service shop in the Geneva / Rochester / Syracuse region. Trust The Pros at GFS! -We employ factory trained technicians and use factory diagnostic and repair equipment. We are one of only a few in the Upstate NY area that offer these types of services other than the Dealership. Our technicians not only service every vehicle we sell but service customer cars day in and out. The experience that they have is priceless when it comes to reconditioning your new vehicle! -Every car comes with a 151 point inspection. We put the vehicle in the air and check it over from bumper to bumper ensuring we’re selling only the best quality vehicles. Any concerns and we’re sending it directly to the auction! -We rust-proof every vehicle to protect them from the elements of Upstate NY! We’re Protecting Your Hard Earned Money! -When servicing the vehicles, we expect all of the large wear items such as brakes and tires to have at least 50% of life left. If they are less than that, we replace them. The reason we do this is because we want you to purchase a vehicle that does not require immediate service. With 50% wear left, you should have at least a year driving before any service is needed… - Most dealerships “set their car up” to pass inspection. That may be good enough for NYS, but it’s not good enough for us. We want our customers to have an enjoyable interaction with their car and see the value in the purchase. You can’t do this if you’re running into costly maintenance bills right away. We completely understand why other dealerships may choose to only do the minimum, it’s expensive! Geneva Foreign & Sports is fortunate enough to have a large hi-tech service department with factory trained and certified technicians. Having our own service department allows us to these repairs at a very reasonable price. More Bank for Your Buck! -Because of our extensive reconditioning process, every one of our vehicles is eligible for an extended warranty with unlimited mileage coverage. Most terms go as long as 4 years! You can read more about our extended service contracts by clicking on the link: http://www.gfs1.com/warranty/ This Used 2009 Hyundai Santa Fe stk#308498 is available at Geneva Foreign & Sports in Geneva, NY. This Santa Fe comes with styling and Gray interior. Popular Vehicle Alert! This 2009 Kia Spectravehicle has been viewed by 11 shoppers per week. You can buy your vehicle with confidence from Geneva Foreign & Sports. -Geneva Foreign & Sports is centrally located directly between Rochester and Syracuse in the heart of the Finger Lakes for the convenience of our customers. Service after the sale is top priority for Geneva Foreign & Sports; ensuring satisfaction not only during the purchase process but the whole time you own your vehicle. If you are looking for a vehicle with great styling, options and incredible fuel economy, look no further than this quality automobile. Low, low mileage coupled with an exacting maintenance program make this vehicle a rare find. This Kia Spectra is beautiful and the interior is clean with virtually no flaws. More information about the 2009 Kia Spectra: The 2009 Spectra has more interior space than most everything in its class, with an impressive 97 cubic feet inside. The Spectra also stands out for its very low base price and generous equipment list as well as for its extensive warranty coverage. The Spectra is also a comfortable small car, with a refined ride and quiet interior. This model sets itself apart with large amount of trunk space., plenty of interior space, refined ride, Low base price, and long warranty -Geneva Foreign & Sports has a different model than most. We’ve decided to sell more cars and make less money. I know, that sounds weird but it really makes sense. Big Dan thinks that once you’ve earned a customer’s business, you’ve earned their loyalty for life. He says as long as you’re fair with people and treat then honestly, they’ll never have a reason to go somewhere else. And this means you’ll earn their mechanical repair work, collision work, they’ll refer friends to you, and they’ll come back to buy their next car from you… Sure beats spending loads of money on advertising. There is a reason we’re the largest European sales and service shop in the Geneva / Rochester / Syracuse region. Trust The Pros at GFS! -We employ factory trained technicians and use factory diagnostic and repair equipment. We are one of only a few in the Upstate NY area that offer these types of services other than the Dealership. Our technicians not only service every vehicle we sell but service customer cars day in and out. The experience that they have is priceless when it comes to reconditioning your new vehicle! -Every car comes with a 151 point inspection. We put the vehicle in the air and check it over from bumper to bumper ensuring we’re selling only the best quality vehicles. Any concerns and we’re sending it directly to the auction! -We rust-proof every vehicle to protect them from the elements of Upstate NY! We’re Protecting Your Hard Earned Money! -When servicing the vehicles, we expect all of the large wear items such as brakes and tires to have at least 50% of life left. If they are less than that, we replace them. The reason we do this is because we want you to purchase a vehicle that does not require immediate service. With 50% wear left, you should have at least a year driving before any service is needed… - Most dealerships “set their car up” to pass inspection. That may be good enough for NYS, but it’s not good enough for us. We want our customers to have an enjoyable interaction with their car and see the value in the purchase. You can’t do this if you’re running into costly maintenance bills right away. We completely understand why other dealerships may choose to only do the minimum, it’s expensive! Geneva Foreign & Sports is fortunate enough to have a large hi-tech service department with factory trained and certified technicians. Having our own service department allows us to these repairs at a very reasonable price. More Bank for Your Buck! -Because of our extensive reconditioning process, every one of our vehicles is eligible for an extended warranty with unlimited mileage coverage. Most terms go as long as 4 years! You can read more about our extended service contracts by clicking on the link: http://www.gfs1.com/warranty/ https://www.youtube.com/embed/ehDr66VaDj0 Come check out this Used 2009 Kia Spectra stk#661193 at Geneva Foreign & Sports. This Kia Spectra features exterior styling and Front Wheel Drive. Stop by Geneva Foreign & Sports in Geneva, NY. Popular Vehicle Alert! This 2003 Mercedes-Benz E-Classvehicle has been viewed by 49 shoppers per week. You can buy your vehicle with confidence from Geneva Foreign & Sports. -Geneva Foreign & Sports is centrally located directly between Rochester and Syracuse in the heart of the Finger Lakes for the convenience of our customers. Service after the sale is top priority for Geneva Foreign & Sports; ensuring satisfaction not only during the purchase process but the whole time you own your vehicle. For those who are ready to drive something more than just a car, this Mercedes-Benz E-Class 5.0L will appeal to their idea of luxury and refinement. This 2003 Mercedes-Benz E-Class has such low mileage it has been parked more than driven. Marked by excellent quality and features with unmistakable refined leather interior that added value and class to the Mercedes-Benz E-Class Based on the superb condition of this vehicle, along with the options and color, this Mercedes-Benz E-Class 5.0L is sure to sell fast. -Geneva Foreign & Sports has a different model than most. We’ve decided to sell more cars and make less money. I know, that sounds weird but it really makes sense. Big Dan thinks that once you’ve earned a customer’s business, you’ve earned their loyalty for life. He says as long as you’re fair with people and treat then honestly, they’ll never have a reason to go somewhere else. And this means you’ll earn their mechanical repair work, collision work, they’ll refer friends to you, and they’ll come back to buy their next car from you… Sure beats spending loads of money on advertising. There is a reason we’re the largest European sales and service shop in the Geneva / Rochester / Syracuse region. Trust The Pros at GFS! -We employ factory trained technicians and use factory diagnostic and repair equipment. We are one of only a few in the Upstate NY area that offer these types of services other than the Dealership. Our technicians not only service every vehicle we sell but service customer cars day in and out. The experience that they have is priceless when it comes to reconditioning your new vehicle! -Every car comes with a 151 point inspection. We put the vehicle in the air and check it over from bumper to bumper ensuring we’re selling only the best quality vehicles. Any concerns and we’re sending it directly to the auction! -We rust-proof every vehicle to protect them from the elements of Upstate NY! We’re Protecting Your Hard Earned Money! -When servicing the vehicles, we expect all of the large wear items such as brakes and tires to have at least 50% of life left. If they are less than that, we replace them. The reason we do this is because we want you to purchase a vehicle that does not require immediate service. With 50% wear left, you should have at least a year driving before any service is needed… - Most dealerships “set their car up” to pass inspection. That may be good enough for NYS, but it’s not good enough for us. We want our customers to have an enjoyable interaction with their car and see the value in the purchase. You can’t do this if you’re running into costly maintenance bills right away. We completely understand why other dealerships may choose to only do the minimum, it’s expensive! Geneva Foreign & Sports is fortunate enough to have a large hi-tech service department with factory trained and certified technicians. Having our own service department allows us to these repairs at a very reasonable price. More Bank for Your Buck! -Because of our extensive reconditioning process, every one of our vehicles is eligible for an extended warranty with unlimited mileage coverage. Most terms go as long as 4 years! You can read more about our extended service contracts by clicking on the link: http://www.gfs1.com/warranty/ Come check out this Used 2003 Mercedes-Benz E-Class stk#330779 at Geneva Foreign & Sports. This Mercedes-Benz E-Class features exterior styling and Rear Wheel Drive. Stop by Geneva Foreign & Sports in Geneva, NY. Popular Vehicle Alert! This 2004 Saab 9-3vehicle has been viewed by 33 shoppers per week. You can buy your vehicle with confidence from Geneva Foreign & Sports. -Geneva Foreign & Sports is centrally located directly between Rochester and Syracuse in the heart of the Finger Lakes for the convenience of our customers. Service after the sale is top priority for Geneva Foreign & Sports; ensuring satisfaction not only during the purchase process but the whole time you own your vehicle. Drop the top and have some fun in this well-appointed, sporty convertible. The Saab 9-3 Arc is economically and environmentally smart. Saab clearly delivers on its promise to provide a fuel-efficient vehicle that has the great qualities you need in a vehicle. Exceptional in every sense of the word, this incredibly low mileage vehicle is one of a kind. Added comfort with contemporary style is the leather interior to heighten the quality and craftsmanship for the Saab 9-3 Looking for a Saab 9-3 that is in great condition inside and out? Take a look at this beauty. This highly refined Saab 9-3 comes with exciting features you'd expect in a vehicle twice the price. -Geneva Foreign & Sports has a different model than most. We’ve decided to sell more cars and make less money. I know, that sounds weird but it really makes sense. Big Dan thinks that once you’ve earned a customer’s business, you’ve earned their loyalty for life. He says as long as you’re fair with people and treat then honestly, they’ll never have a reason to go somewhere else. And this means you’ll earn their mechanical repair work, collision work, they’ll refer friends to you, and they’ll come back to buy their next car from you… Sure beats spending loads of money on advertising. There is a reason we’re the largest European sales and service shop in the Geneva / Rochester / Syracuse region. Trust The Pros at GFS! -We employ factory trained technicians and use factory diagnostic and repair equipment. We are one of only a few in the Upstate NY area that offer these types of services other than the Dealership. Our technicians not only service every vehicle we sell but service customer cars day in and out. The experience that they have is priceless when it comes to reconditioning your new vehicle! -Every car comes with a 151 point inspection. We put the vehicle in the air and check it over from bumper to bumper ensuring we’re selling only the best quality vehicles. Any concerns and we’re sending it directly to the auction! -We rust-proof every vehicle to protect them from the elements of Upstate NY! We’re Protecting Your Hard Earned Money! -When servicing the vehicles, we expect all of the large wear items such as brakes and tires to have at least 50% of life left. If they are less than that, we replace them. The reason we do this is because we want you to purchase a vehicle that does not require immediate service. With 50% wear left, you should have at least a year driving before any service is needed… - Most dealerships “set their car up” to pass inspection. That may be good enough for NYS, but it’s not good enough for us. We want our customers to have an enjoyable interaction with their car and see the value in the purchase. You can’t do this if you’re running into costly maintenance bills right away. We completely understand why other dealerships may choose to only do the minimum, it’s expensive! Geneva Foreign & Sports is fortunate enough to have a large hi-tech service department with factory trained and certified technicians. Having our own service department allows us to these repairs at a very reasonable price. More Bank for Your Buck! -Because of our extensive reconditioning process, every one of our vehicles is eligible for an extended warranty with unlimited mileage coverage. Most terms go as long as 4 years! You can read more about our extended service contracts by clicking on the link: http://www.gfs1.com/warranty/ Come to Geneva Foreign & Sports in Geneva, NY and check out this Used 2004 Saab 9-3. This 9-3 features a 2.0L DOHC MFI Turbocharged 16-Valve 4-Cyl Gas Engine and Front Wheel Drive capabilities with Arc trim options. Popular Vehicle Alert! This 2011 Subaru Legacyvehicle has been viewed by 120 shoppers in last 28 days. You can buy your vehicle with confidence from Geneva Foreign & Sports. -Geneva Foreign & Sports is centrally located directly between Rochester and Syracuse in the heart of the Finger Lakes for the convenience of our customers. Service after the sale is top priority for Geneva Foreign & Sports; ensuring satisfaction not only during the purchase process but the whole time you own your vehicle. The less money you spend at the pump, the more money you'll have to spend on you. So why not consider this wonderfully styled, fuel-efficient Subaru Legacy. Hit the gas pedal and put the engine power to all four wheels. With AWD, you'll have the greater performance right off the line, everytime you drive. If not for a few miles on the odometer you would be hard-pressed to know this 2011 Subaru Legacy is a pre-owned vehicle. You demand the best in everything, so why would your automobile be any different? Enjoy the best features available in this stunning Subaru Legacy. More information about the 2011 Subaru Legacy: Subaru has long been known for standard all-wheel drive in all of its models. The Legacy brings Subaru's reputation for safety and reliability to a stylish mid-size sedan capable of surprising performance. MSRP starts at just under $20,000, and estimated mileage performance across all trims is 18 mpg city and 25 mpg highway. Interesting features of this model are Compelling design inside and out, ride comfort, standard all-wheel drive, plenty of power, and fine balance of luxury and performance -Geneva Foreign & Sports has a different model than most. We’ve decided to sell more cars and make less money. I know, that sounds weird but it really makes sense. Big Dan thinks that once you’ve earned a customer’s business, you’ve earned their loyalty for life. He says as long as you’re fair with people and treat then honestly, they’ll never have a reason to go somewhere else. And this means you’ll earn their mechanical repair work, collision work, they’ll refer friends to you, and they’ll come back to buy their next car from you… Sure beats spending loads of money on advertising. There is a reason we’re the largest European sales and service shop in the Geneva / Rochester / Syracuse region. Trust The Pros at GFS! -We employ factory trained technicians and use factory diagnostic and repair equipment. We are one of only a few in the Upstate NY area that offer these types of services other than the Dealership. Our technicians not only service every vehicle we sell but service customer cars day in and out. The experience that they have is priceless when it comes to reconditioning your new vehicle! -Every car comes with a 151 point inspection. We put the vehicle in the air and check it over from bumper to bumper ensuring we’re selling only the best quality vehicles. Any concerns and we’re sending it directly to the auction! -We rust-proof every vehicle to protect them from the elements of Upstate NY! We’re Protecting Your Hard Earned Money! -When servicing the vehicles, we expect all of the large wear items such as brakes and tires to have at least 50% of life left. If they are less than that, we replace them. The reason we do this is because we want you to purchase a vehicle that does not require immediate service. With 50% wear left, you should have at least a year driving before any service is needed… - Most dealerships “set their car up” to pass inspection. That may be good enough for NYS, but it’s not good enough for us. We want our customers to have an enjoyable interaction with their car and see the value in the purchase. You can’t do this if you’re running into costly maintenance bills right away. We completely understand why other dealerships may choose to only do the minimum, it’s expensive! Geneva Foreign & Sports is fortunate enough to have a large hi-tech service department with factory trained and certified technicians. Having our own service department allows us to these repairs at a very reasonable price. More Bank for Your Buck! -Because of our extensive reconditioning process, every one of our vehicles is eligible for an extended warranty with unlimited mileage coverage. Most terms go as long as 4 years! You can read more about our extended service contracts by clicking on the link: http://www.gfs1.com/warranty/ Stop by Geneva Foreign & Sports and check out this Used 2011 Subaru Legacy. This Legacy features All Wheel Drive capabilities and 2.5i Prem AWP/Pwr Moon finishes. Stop by Geneva Foreign & Sports in Geneva, NY. Popular Vehicle Alert! This 2012 Volkswagen GLIvehicle has been viewed by 58 shoppers per week. You can buy your vehicle with confidence from Geneva Foreign & Sports. -Geneva Foreign & Sports is centrally located directly between Rochester and Syracuse in the heart of the Finger Lakes for the convenience of our customers. Service after the sale is top priority for Geneva Foreign & Sports; ensuring satisfaction not only during the purchase process but the whole time you own your vehicle. Drive home in your new pre-owned vehicle with the knowledge you're fully backed by the CARFAX Buyback Guarantee. This wonderfully fuel-efficient vehicle offers a supple ride, quick acceleration and superior styling without sacrificing MPGs. Let's be honest, not everyone wants to set a course blindly into the dark. For those of us that don't, there are vehicles like this with stellar navigation systems. This Volkswagen GLI is beautiful and the interior is clean with virtually no flaws. Treat yourself to a wonderful driving experience in this wel- optioned Volkswagen GLI Autobahn w/Nav PZEV. Equipped with the latest in driver comforts, this Volkswagen is the benchmark of modern automotive engineering. Added comfort with contemporary style is the leather interior to heighten the quality and craftsmanship for the Volkswagen GLI More information about the 2012 Volkswagen GLI: The GLI has always stood for inexpensive performance, and after several years' hiatus, the model returns for 2012, aimed squarely at buyers looking for a peppy yet still affordable sports sedan. It's reasonably competitive in a generally crowded segment, going up against cars like the Subaru WRX and Honda Civic Si. But at just $24,000, it's the cheapest European sports sedan on the market, and that gives it great bang for the buck. Interesting features of this model are High-end options and feel in a small package, powerful engine, superb handling -Geneva Foreign & Sports has a different model than most. We’ve decided to sell more cars and make less money. I know, that sounds weird but it really makes sense. Big Dan thinks that once you’ve earned a customer’s business, you’ve earned their loyalty for life. He says as long as you’re fair with people and treat then honestly, they’ll never have a reason to go somewhere else. And this means you’ll earn their mechanical repair work, collision work, they’ll refer friends to you, and they’ll come back to buy their next car from you… Sure beats spending loads of money on advertising. There is a reason we’re the largest European sales and service shop in the Geneva / Rochester / Syracuse region. Trust The Pros at GFS! -We employ factory trained technicians and use factory diagnostic and repair equipment. We are one of only a few in the Upstate NY area that offer these types of services other than the Dealership. Our technicians not only service every vehicle we sell but service customer cars day in and out. The experience that they have is priceless when it comes to reconditioning your new vehicle! -Every car comes with a 151 point inspection. We put the vehicle in the air and check it over from bumper to bumper ensuring we’re selling only the best quality vehicles. Any concerns and we’re sending it directly to the auction! -We rust-proof every vehicle to protect them from the elements of Upstate NY! We’re Protecting Your Hard Earned Money! -When servicing the vehicles, we expect all of the large wear items such as brakes and tires to have at least 50% of life left. If they are less than that, we replace them. The reason we do this is because we want you to purchase a vehicle that does not require immediate service. With 50% wear left, you should have at least a year driving before any service is needed… - Most dealerships “set their car up” to pass inspection. That may be good enough for NYS, but it’s not good enough for us. We want our customers to have an enjoyable interaction with their car and see the value in the purchase. You can’t do this if you’re running into costly maintenance bills right away. We completely understand why other dealerships may choose to only do the minimum, it’s expensive! Geneva Foreign & Sports is fortunate enough to have a large hi-tech service department with factory trained and certified technicians. Having our own service department allows us to these repairs at a very reasonable price. More Bank for Your Buck! -Because of our extensive reconditioning process, every one of our vehicles is eligible for an extended warranty with unlimited mileage coverage. Most terms go as long as 4 years! You can read more about our extended service contracts by clicking on the link: http://www.gfs1.com/warranty/ This Used 2012 Volkswagen GLI stk#013522 is available at Geneva Foreign & Sports in Geneva, NY. This GLI comes with styling and Titan Black interior. Popular Vehicle Alert! This 2013 Volkswagen Jetta SportWagenvehicle has been viewed by 18 shoppers per week. Factory Warranty, New Clutch, Fully Serviced! You can buy your vehicle with confidence from Geneva Foreign & Sports. -Geneva Foreign & Sports is centrally located directly between Rochester and Syracuse in the heart of the Finger Lakes for the convenience of our customers. Service after the sale is top priority for Geneva Foreign & Sports; ensuring satisfaction not only during the purchase process but the whole time you own your vehicle. -Geneva Foreign & Sports has a different model than most. We’ve decided to sell more cars and make less money. I know, that sounds weird but it really makes sense. Big Dan thinks that once you’ve earned a customer’s business, you’ve earned their loyalty for life. He says as long as you’re fair with people and treat then honestly, they’ll never have a reason to go somewhere else. And this means you’ll earn their mechanical repair work, collision work, they’ll refer friends to you, and they’ll come back to buy their next car from you… Sure beats spending loads of money on advertising. There is a reason we’re the largest European sales and service shop in the Geneva / Rochester / Syracuse region. Trust The Pros at GFS! -We employ factory trained technicians and use factory diagnostic and repair equipment. We are one of only a few in the Upstate NY area that offer these types of services other than the Dealership. Our technicians not only service every vehicle we sell but service customer cars day in and out. The experience that they have is priceless when it comes to reconditioning your new vehicle! -Every car comes with a 151 point inspection. We put the vehicle in the air and check it over from bumper to bumper ensuring we’re selling only the best quality vehicles. Any concerns and we’re sending it directly to the auction! -We rust-proof every vehicle to protect them from the elements of Upstate NY! We’re Protecting Your Hard Earned Money! -When servicing the vehicles, we expect all of the large wear items such as brakes and tires to have at least 50% of life left. If they are less than that, we replace them. The reason we do this is because we want you to purchase a vehicle that does not require immediate service. With 50% wear left, you should have at least a year driving before any service is needed… - Most dealerships “set their car up” to pass inspection. That may be good enough for NYS, but it’s not good enough for us. We want our customers to have an enjoyable interaction with their car and see the value in the purchase. You can’t do this if you’re running into costly maintenance bills right away. We completely understand why other dealerships may choose to only do the minimum, it’s expensive! Geneva Foreign & Sports is fortunate enough to have a large hi-tech service department with factory trained and certified technicians. Having our own service department allows us to these repairs at a very reasonable price. More Bank for Your Buck! -Because of our extensive reconditioning process, every one of our vehicles is eligible for an extended warranty with unlimited mileage coverage. Most terms go as long as 4 years! You can read more about our extended service contracts by clicking on the link: http://www.gfs1.com/warranty/ Come check out this Used 2013 Volkswagen Jetta SportWagen. This Volkswagen Jetta SportWagen features a 2013 bodystyle in and Front Wheel Drive capabilities. Stop by Geneva Foreign & Sports in Geneva, NY to see this Volkswagen Jetta SportWagen today. Popular Vehicle Alert! This 2011 Volkswagen Jetta SportWagenvehicle has been viewed by 16 shoppers per week. You can buy your vehicle with confidence from Geneva Foreign & Sports. 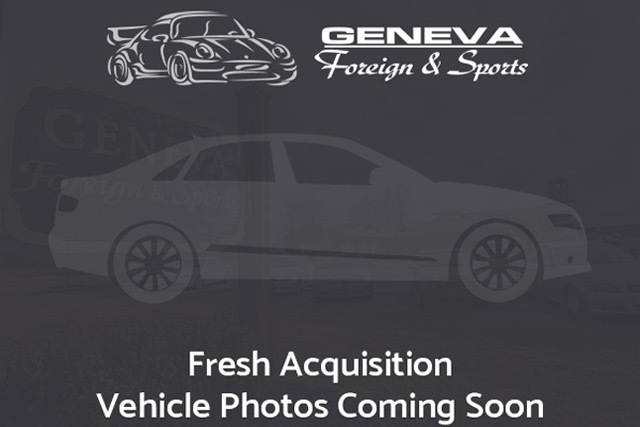 -Geneva Foreign & Sports is centrally located directly between Rochester and Syracuse in the heart of the Finger Lakes for the convenience of our customers. Service after the sale is top priority for Geneva Foreign & Sports; ensuring satisfaction not only during the purchase process but the whole time you own your vehicle. You could spend more on fuel each month than on your vehicle payments, so why not consider one with exceptional fuel economy like this 2011 Volkswagen Jetta SportWagen. Beautiful exterior. Clean interior. This Volkswagen Jetta SportWagen is so immaculate it is practically new. Equipped with many extra features, this well-appointed vehicle is a treat to drive. Added comfort with contemporary style is the leather interior to heighten the quality and craftsmanship for the Volkswagen Jetta SportWagen More information about the 2011 Volkswagen Jetta SportWagen: The Volkswagen Jetta SportWagen offers a real alternative not just to the small wagons and even crossovers of the world, but in the TDI model, you'll find a true efficiency competitor with cars like the Toyota Prius and Honda Insight. SportWagens come with loads of standard equipment for a reasonable entry price, and they're hard to beat in the realm of safety features as well. Strengths of this model include excellent fuel economy from TDI model, quality interior materials, standard equipment, competitive pricing, and Lots of cargo space -Geneva Foreign & Sports has a different model than most. We’ve decided to sell more cars and make less money. I know, that sounds weird but it really makes sense. Big Dan thinks that once you’ve earned a customer’s business, you’ve earned their loyalty for life. He says as long as you’re fair with people and treat then honestly, they’ll never have a reason to go somewhere else. And this means you’ll earn their mechanical repair work, collision work, they’ll refer friends to you, and they’ll come back to buy their next car from you… Sure beats spending loads of money on advertising. There is a reason we’re the largest European sales and service shop in the Geneva / Rochester / Syracuse region. Trust The Pros at GFS! -We employ factory trained technicians and use factory diagnostic and repair equipment. We are one of only a few in the Upstate NY area that offer these types of services other than the Dealership. Our technicians not only service every vehicle we sell but service customer cars day in and out. The experience that they have is priceless when it comes to reconditioning your new vehicle! -Every car comes with a 151 point inspection. We put the vehicle in the air and check it over from bumper to bumper ensuring we’re selling only the best quality vehicles. Any concerns and we’re sending it directly to the auction! -We rust-proof every vehicle to protect them from the elements of Upstate NY! We’re Protecting Your Hard Earned Money! -When servicing the vehicles, we expect all of the large wear items such as brakes and tires to have at least 50% of life left. If they are less than that, we replace them. The reason we do this is because we want you to purchase a vehicle that does not require immediate service. With 50% wear left, you should have at least a year driving before any service is needed… - Most dealerships “set their car up” to pass inspection. That may be good enough for NYS, but it’s not good enough for us. We want our customers to have an enjoyable interaction with their car and see the value in the purchase. You can’t do this if you’re running into costly maintenance bills right away. We completely understand why other dealerships may choose to only do the minimum, it’s expensive! Geneva Foreign & Sports is fortunate enough to have a large hi-tech service department with factory trained and certified technicians. Having our own service department allows us to these repairs at a very reasonable price. More Bank for Your Buck! -Because of our extensive reconditioning process, every one of our vehicles is eligible for an extended warranty with unlimited mileage coverage. Most terms go as long as 4 years! You can read more about our extended service contracts by clicking on the link: http://www.gfs1.com/warranty/ Stop by Geneva Foreign & Sports and check out this Used 2011 Volkswagen Jetta SportWagen. This Jetta SportWagen features Front Wheel Drive capabilities and TDI finishes. Stop by Geneva Foreign & Sports in Geneva, NY.